Thought to possess calming and restorative powers. 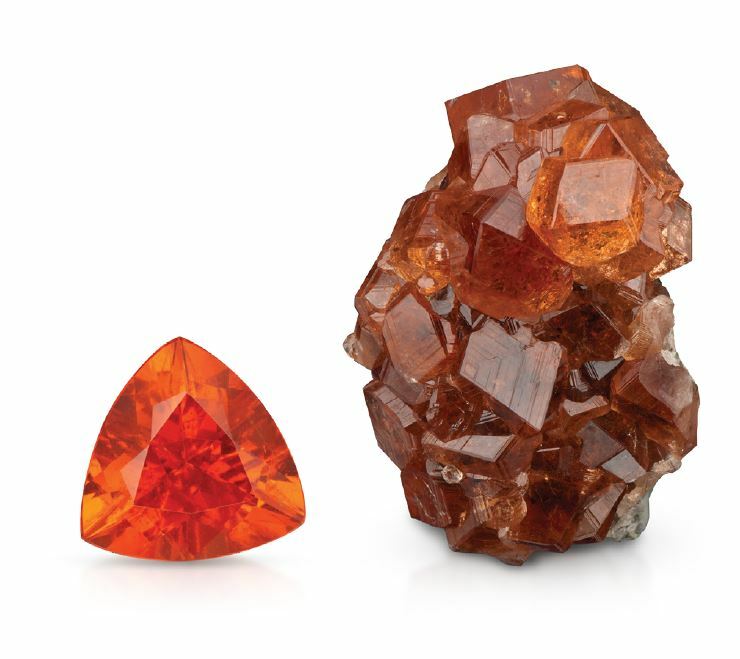 red garnets were among the most widely traded gems. was favored by clergy and nobility. 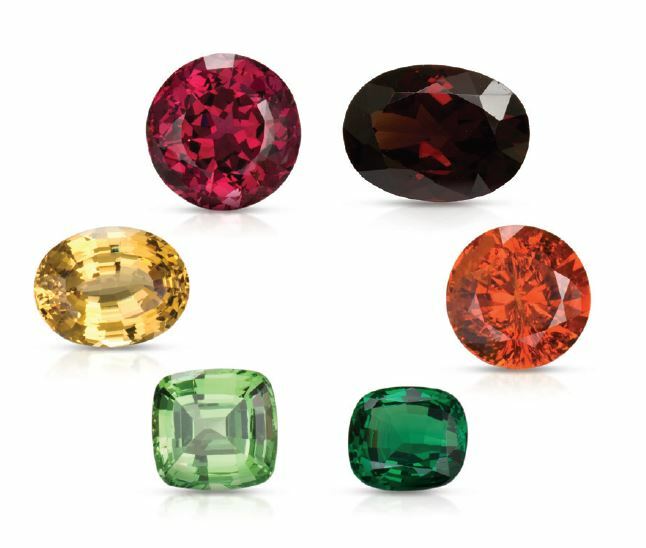 a group, resulting in gemstones in almost every color. Pyrope and almandine range in color from purple to red. 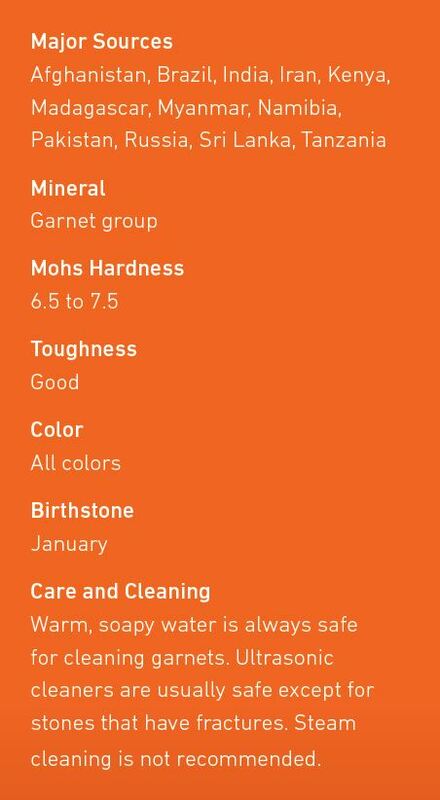 orangy red, to a strong vibrant green called tsavorite. 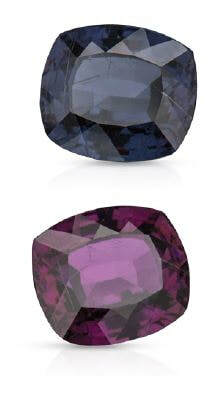 rhodolite, typically do not have eye-visible inclusions. African countries of Tanzania, Kenya and Madagascar.